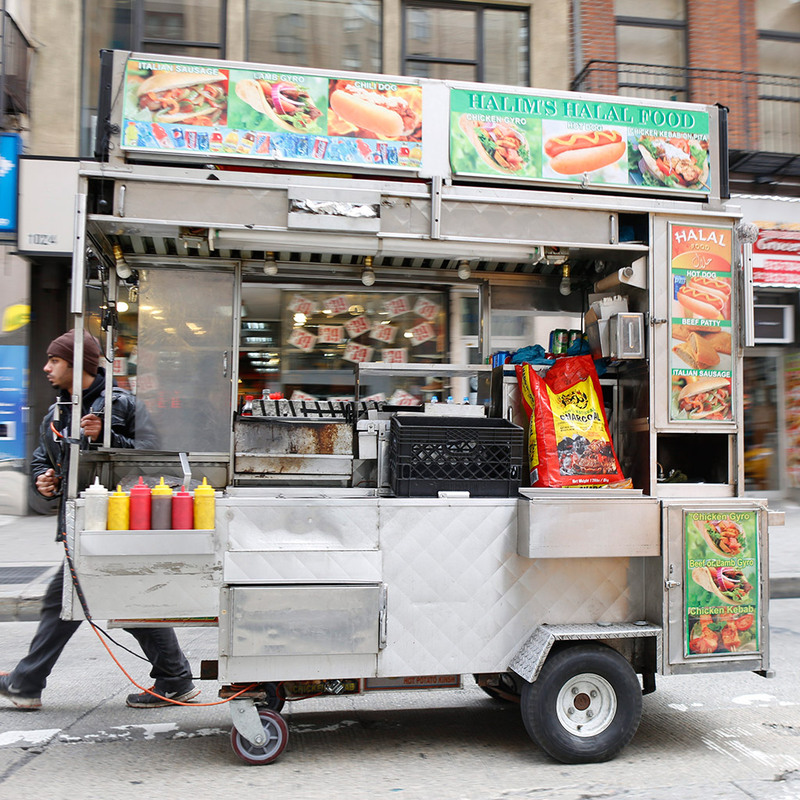 New York's ubiquitous food carts will get a serious green upgrade thanks to a new program announced this week. MOVE Systems has partnered with the City Council to provide 500 new carts called MRV100 Hybrids that are powered by solar panels, alternative fuel and rechargeable batteries. According to the Wall Street Journal, though the city is involved in the program, private partnerships and donations will cover the cost of the carts. Interested vendors will get a free five-year lease, during which time MOVE says they’ll be able to make money through ads and fuel sales. New York is home to thousands of street food vendors, with the city issuing 2,800 full-year permits as well as seasonal and other permits. Proponents of this new pilot program hope that providing carts that are more environmentally friendly will not only improve conditions for residents but the vendors as well. It’s not uncommon for vendors to suffer from respiratory problems, according to Sean Basinski, director of local advocacy group the Street Vendor Project. These new carts are estimated to produce 60 percent less greenhouse gas and 95 percent less smog-causing pollution. The new carts could be on the streets as soon as Memorial Day. Just keep in mind: Though these new carts are better for the city as a whole, what you decide to eat out of a food cart is still on you, dude.